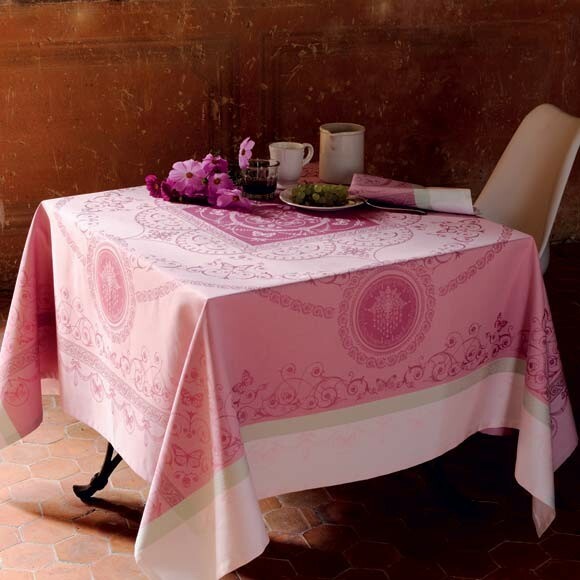 Do you love pretty tablecloths, but worry that guests or children will spill their drinks and spoil your linens? 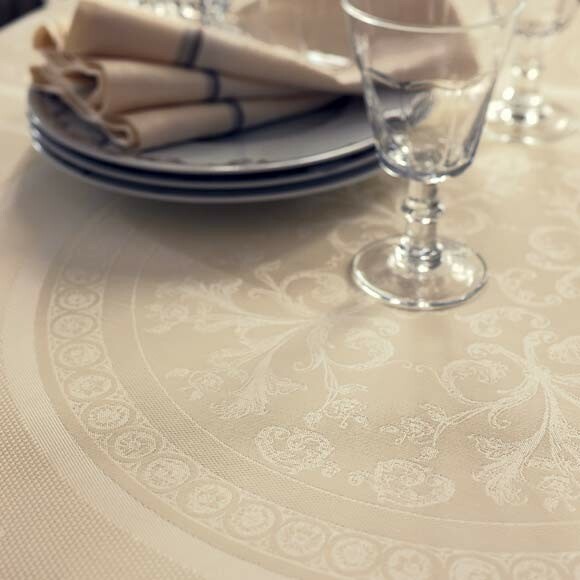 You can now set your mind at ease while setting your table thanks to Garnier-Thiebaut’s Green Sweet stain-resistant cotton. 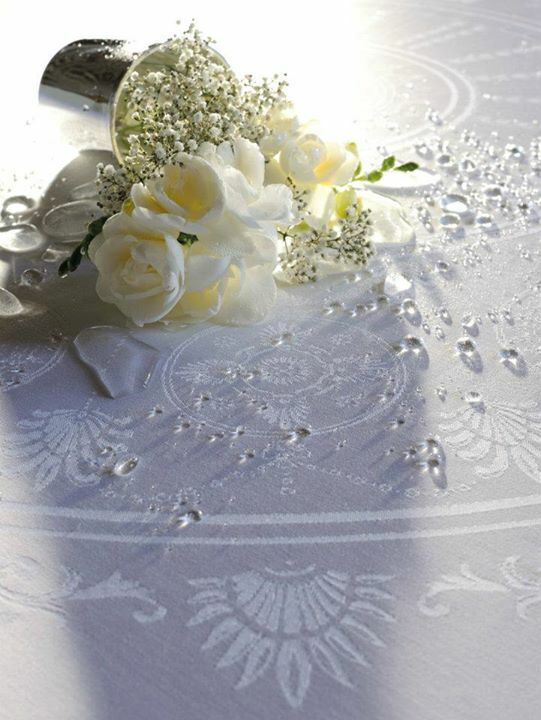 Mille Rubans Collection in Blanc. 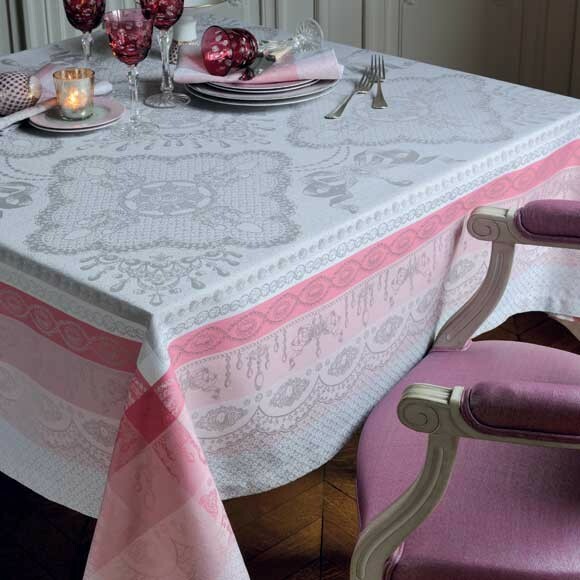 Also available in Ivoire, Porcelaine, Blush. 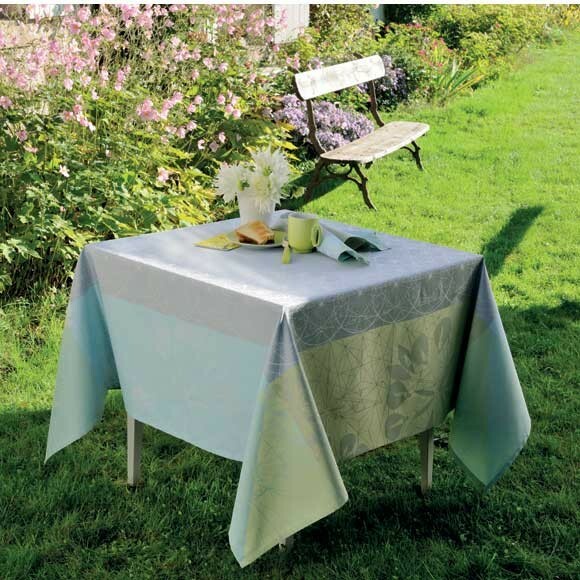 Garnier-Thiebaut’s cotton damask tablecloths that are treated with Green Sweet stain-resistant technology are able to withstand most stains. 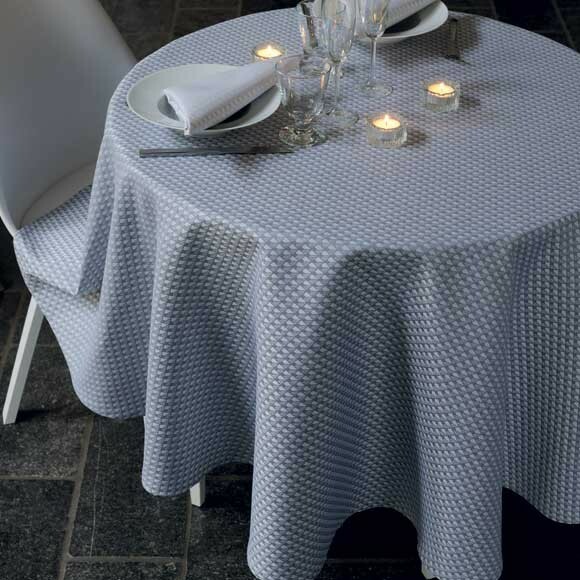 These linens offer the softness and drape of cotton, yet they act like acrylic. 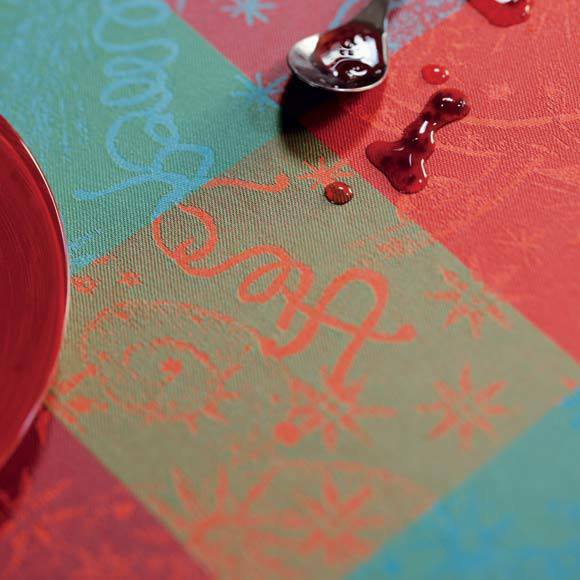 Spill your drink, and the liquid beads so you can blot it away with a cloth or sponge. Photo via Garnier-Thiebaut’s Facebook page. 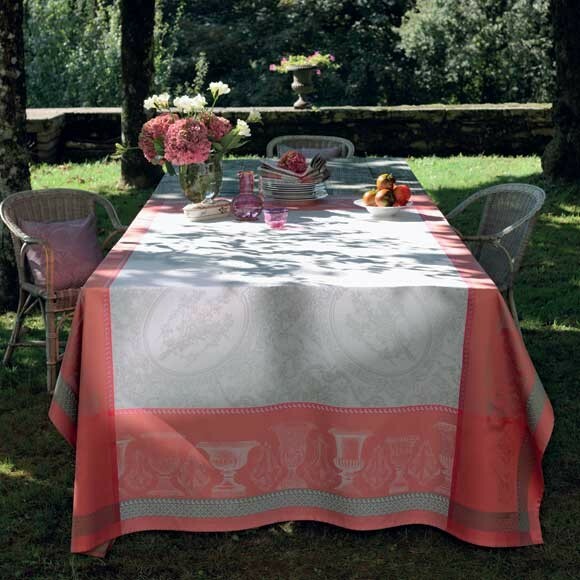 Jardin A La Francaise Collection in Carrare. 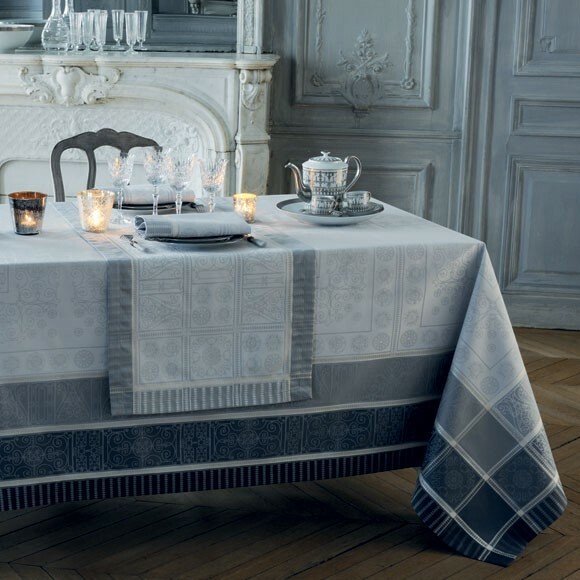 Mirage Collection in Grey. Also available in Metal. 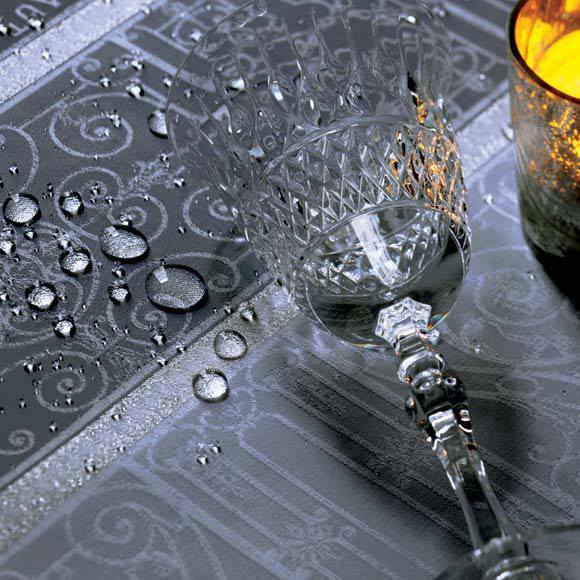 Don’t let a spill ruin your special occasion. Rely on Garnier-Thiebaut’s Green Sweet technology to save the day. 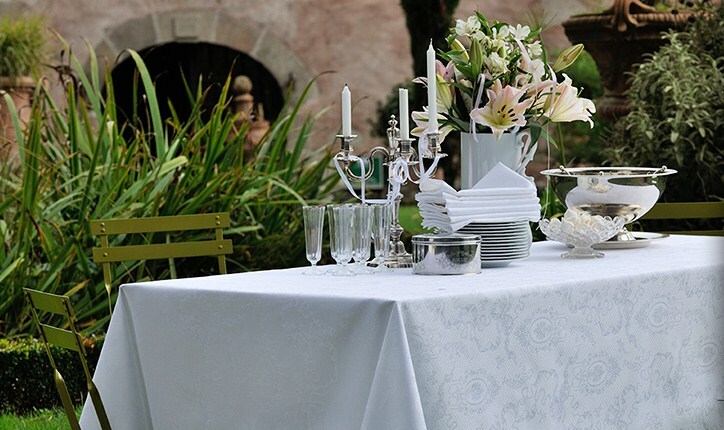 World-class hotels, restaurants and resorts have been using Garnier-Thiebault linens for years. Shouldn’t you give it a try? Garnier-Thiebaut. Made in France. 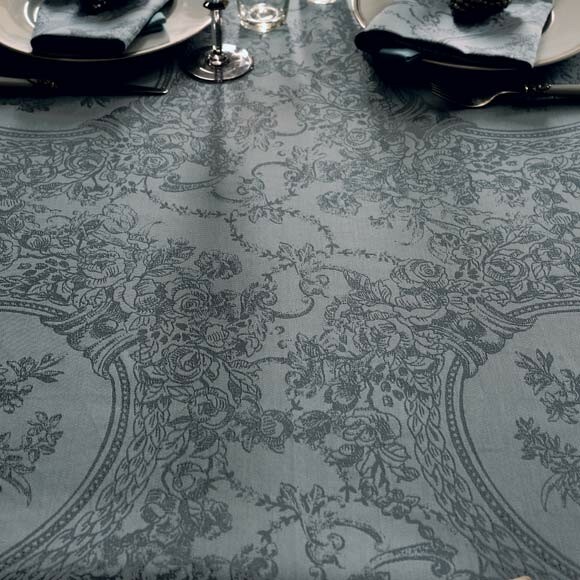 Available in Richmond – exclusively through Janet Brown Interiors.